Serving local families since 2015. Based in Lennox Head near Byron Bay. More and more women are choosing to consume their placenta to enjoy a healthier, happier postpartum. Your placenta is the wonderful organ that nourishes your baby throughout pregnancy. But it also has an important job to do after birth. The long months of pregnancy, and birth itself can be a strain on a woman’s body. At birth a substantial amount of blood is lost, vitamins and minerals take a sudden drop in her system, affecting the new Mama physically and emotionally. Eighty percent of new Mama’s experience a mild postnatal mood disorder, aka ‘the baby blues’ in the first few weeks after having a baby. 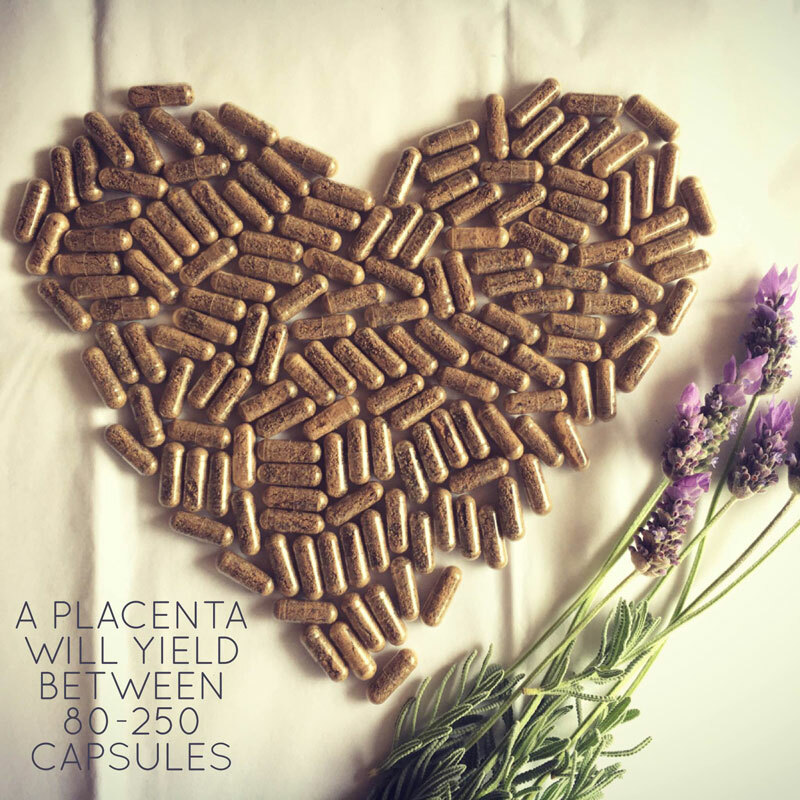 Taking your placenta in capsule form is an easy way to naturally replenish these nutrients and rebalance your hormones, giving you the best start to motherhood. Gonadotrophin – precursor to oestrogen, progesterone and testosterone. Estrogen, Progesterone, Testosterone – Contributes to mammary gland development in preparation for lactation; stabilizes mood; regulates post-birth uterine cramping; decreases depression; normalizes and stimulates libido. Oxytocin – produced during breastfeeding to promote healthy bonding between mother and baby. Interferon – stimulates the immune system to protect against infection. Thyroid Stimulating Hormone – boosts energy and aids in recovery of stressful events. Cortisone – releases energy stores and helps with stress. Haemoglobin – replenishes iron deficiencies and anaemia. Gamma-globulin – boosts immune system and protects against postpartum infection. Urokinase Inhibiting Factor & Factor X111 – stops bleeding and enhances healing of wounds. Growth Factors – in the form of cytokines and hormones that stimulate cellular growth. They have anti-inflammatory properties, aid blood circulation, wound tissue healing and have an analgesic effect. Placenta Stem Cells – provide the new cells for regeneration of tissue and growth factors enhance their ability to multiply much faster. Iron – essential for absorption of oxygen in the cells needed for repair. Vitamin B6 – promotes the production of red blood cells, aids in normal functioning of the brain. Helps in the making of antibodies, keeping the immune system strong. 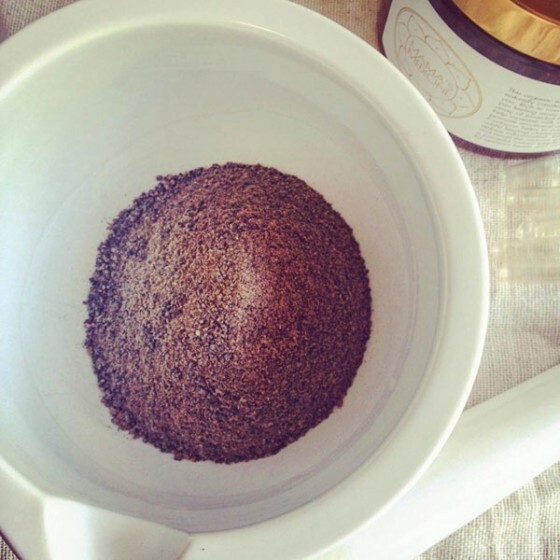 Placenta remedies are the best thing a new Mama can give back to her body post birth. Please note: Placenta capsules are a nutritional supplement and not a cure for postnatal depression. PND is a serious condition that must be monitored by a professional. The information on this page has not been evaluated by the TGA. The services I offer are not clinical, pharmaceutical, or intended to diagnose or treat any condition. Families who choose to utilise the services on this page take full responsibility for researching and using the remedies at their own risk. Steamed or ‘Raw Start’ Method of Placental Encapsulation. The placenta is considered a powerful and sacred healing medicine since 1578. Tried and true, steamed preparation is the most common method of encapsulation. The placenta is cleaned and then gently steamed with warming herbs; myrrh and ginger – this is a crucial part of making this placenta medicine. These warming qualities are believed to help heal from the inside out – rebuilding blood, chi and slowly increasing the body’s endocrine functions. 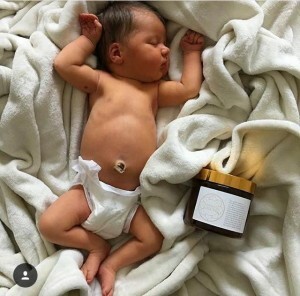 After steaming, the placenta is thinly sliced and dehydrated at a low temperature until completely dry, then ground and placed into gluten free, vegetarian capsules. This method offers a softer energy, ideal for those who suffer anxiety. Some people believe that steaming the placenta may damage vital hormones and nutrients. Based on principles of the Raw Food Diet, the placenta is not steamed but sliced raw and dehydrated for a longer amount of time. Maximum vital hormones, enzymes and nutrients are retained this way due to less processing (no steaming). The dry strips are then ground into powder and placed into gluten free, vegetarian capsules. Raw capsules have quite a strong energy, and tends to need small doses. Please Note: If someone has requested Raw preparation, but the placenta was more than 2 hours at room temp before going on ice, or there was meconium present then I would strongly recommend the TCM method. Taking your placenta in capsules is convenient, tasteless and preserves the nutrients you have been building during your pregnancy so you can enjoy the ongoing benefits for months, or even years. Tip: Any leftover (steamed) capsules will last indefinitely if stored in the back of the freezer. Take when your cycle returns, when you need a pick-me-up, or save for future stressful transitions, i.e. menopause or returning to work. The vitamins, minerals & hormones in the capsules are extremely bioavailable – they are easily absorbed by the body because they are completely natural and were created uniquely by you, for you. Amy performs Placenta Encapsulation in a dedicated placenta specific workplace (see picture above). Equipment and workspace is thoroughly disinfected before and after each use with Viraclean medical-grade disinfectant and an industrial grade bleach soak. Most of her supplies are disposable/single use and all equipment meets food grade standards. Amy adheres to strict hygiene standards and holds current certificates in OSHA Bloodborne Pathogen Transmission/Infection Prevention and Hygiene for Food Handlers. 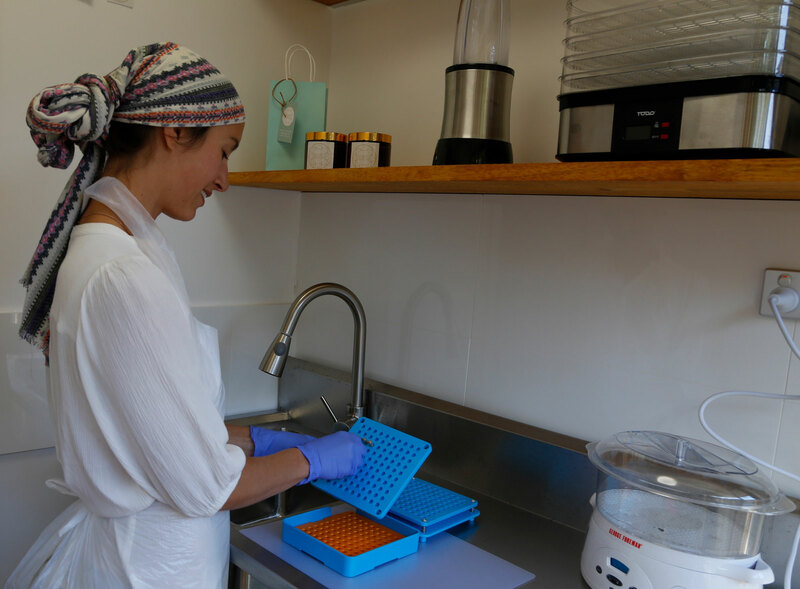 Handling with respect – The placenta is a precious and sacred organ, therefore Amy ensures only positive thoughts and peaceful energy are present, focusing completely on the task to ensure a smooth and safe encapsulation process. Only one placenta is ever processed at a time. One in, one out! 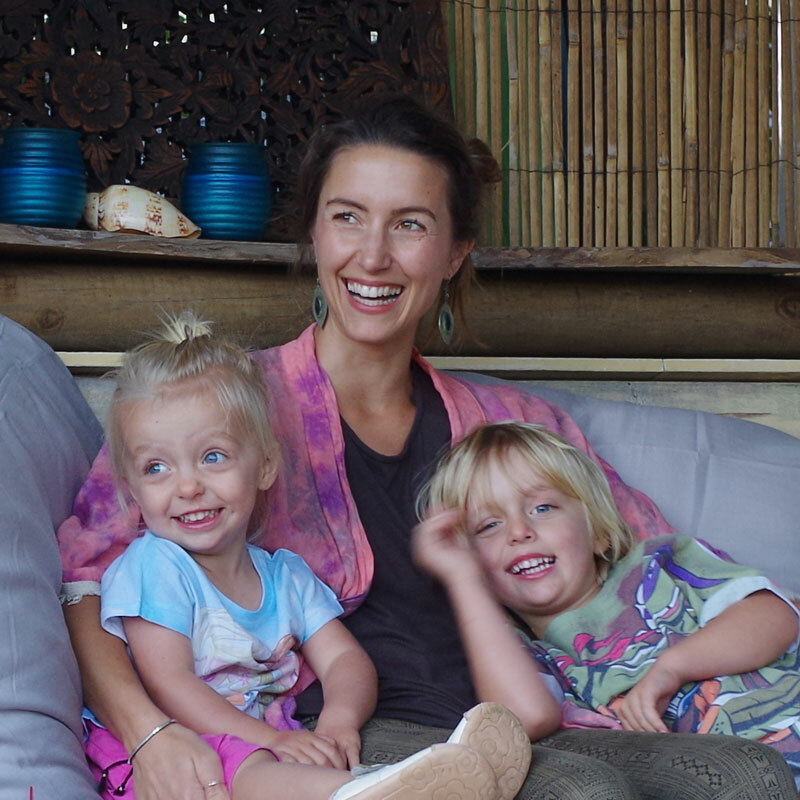 As a Mama of three little ones, Amy knows how special this time is. Her service is set-up to be simple and discreet so you and your family can relax and enjoy your precious hours after birth. Once you have done your research and made the choice to encapsulate your precious placenta, you are ready to make your booking! Complete the contact form below and a booking package will be emailed to you. Lodge the forms and pay the full amount or a deposit of $50 to secure your space. Call or text when labour begins, and again once you have birthed (within 3 hours). We will come and collect your placenta ASAP (between 8am-8pm). Your placenta must be put on ice as soon as possible (within 30minutes) to prevent bacteria from growing. You will need to provide an esky/cooler bag & X4 large ice bricks to take to hospital with you. Your Mama’s Medicine will be delivered to you approximately 48 hours later. Feel free to contact Amy any time you need. Amy will endeavour to be on call for you around your EDD. Please note: as birth is unpredictable there is a chance Amy might not be available to pick up your placenta within 5 hours of birth. You will need your midwife or partner to follow the guidelines (enclosed in your booking package) regarding cooling times and storage, until Amy can collect your placenta. The placenta is considered a powerful and sacred medicine, a ‘full of life force’ organ in China and has been documented as a healing medicine since 1578. Retains maximum vital hormones and nutrients in the placenta, due to less processing (no steaming). The placenta is sliced raw and then heated to food safety temperatures in the dehydrator. This method offers quite a strong energy. For Mama’s birthing within the catchment area (see map below), this price includes pick-up of your placenta from your baby’s birth place, and next-day hand delivery of your capsules – back to you 48hrs after the birth. 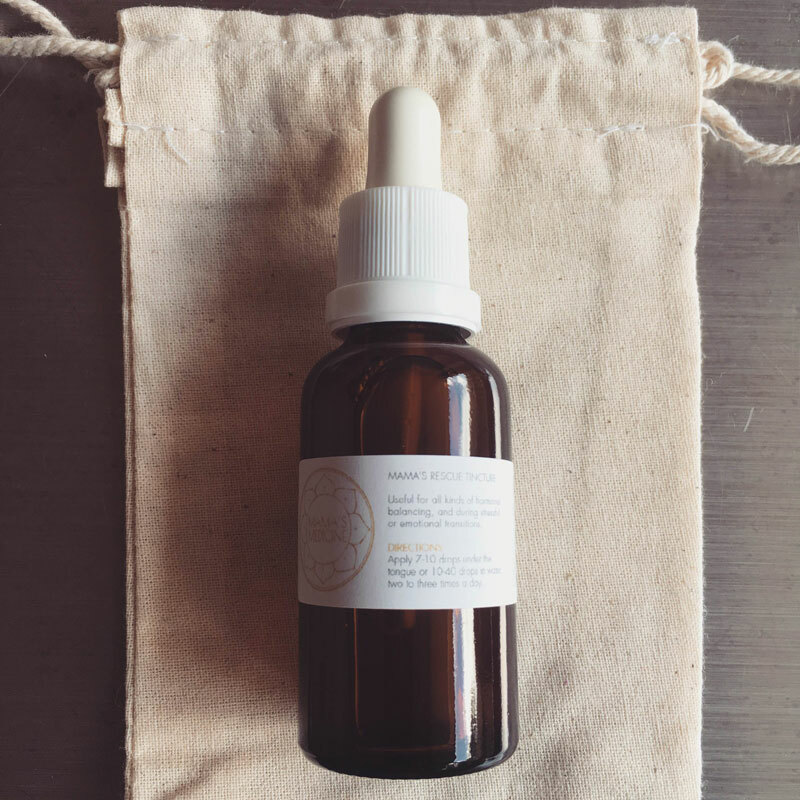 Tinctures are a great way to continue using the benefits of your placenta after the placenta pills are gone. Made using a small piece of placenta steeped over 6 weeks in Absolut Vodka. The result is essentially a homeopathic remedy that can be used during times of emotional and mental instability. Beneficial for all kinds of hormonal balancing including PMS and menopause. Tip: For mums that have left over capsules, I suggest the safest way to keep them for menopause is to make a tincture from them. I offer instructions on how to DIY upon request. 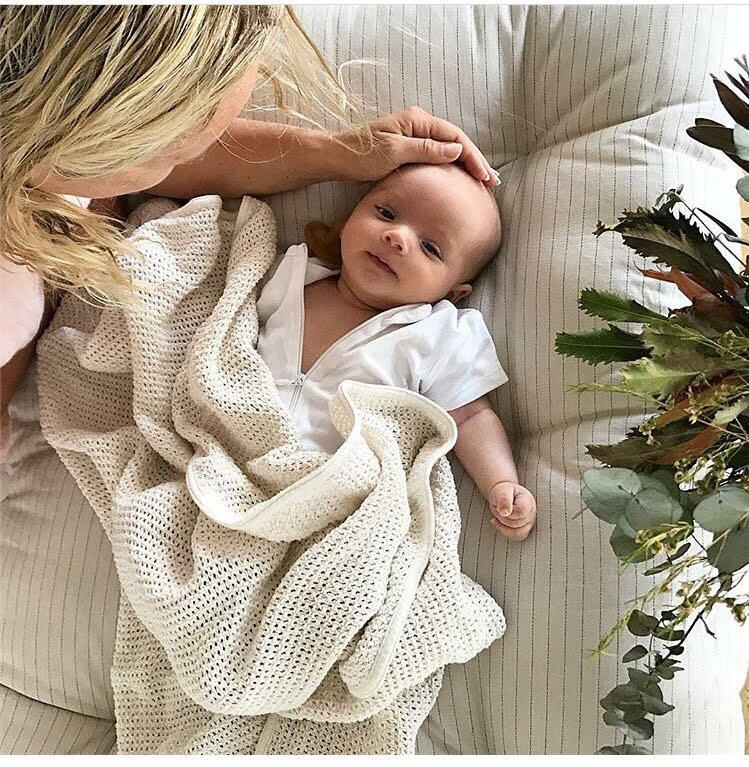 Umbilical cord – dried in the shape of a wreath or spiral – an everlasting symbol of the physical connection a mother had with her child. 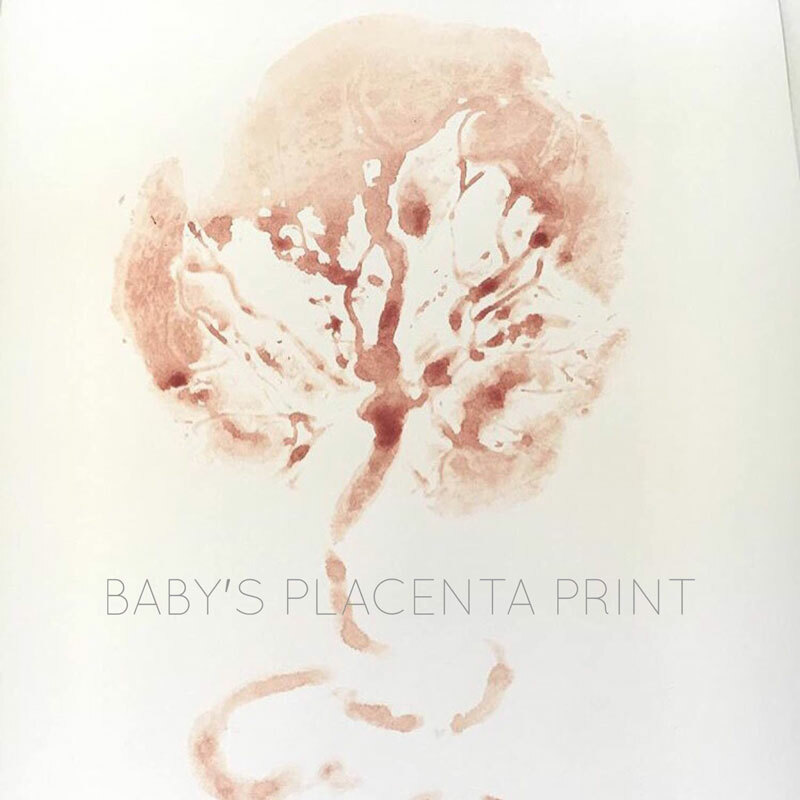 Tree of Life print – an artistic blood print of your baby’s placenta tree. Photos of your placenta sent to you via text – so you can marvel at the miraculous organ that nourished and sustained your baby in the womb. Gift Vouchers – perfect for baby showers. 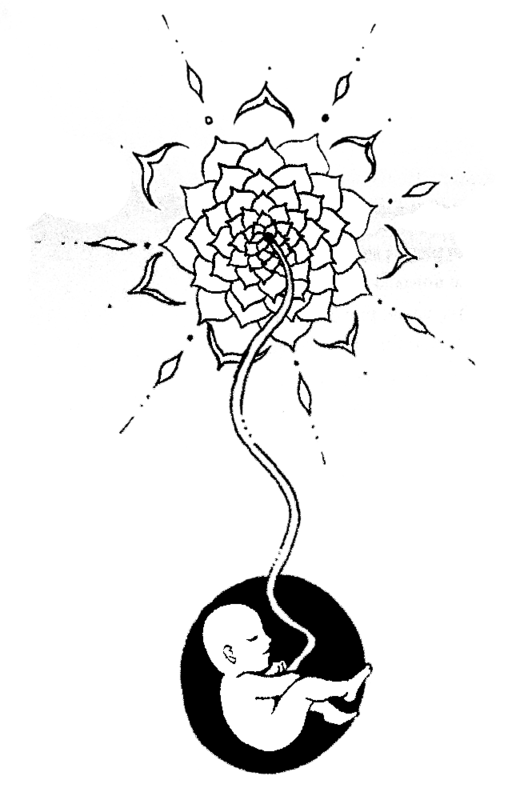 Note: Most cultures like to bury the placenta, returning the nutrients and its sacred energy back to Mother Earth, ‘in gratitude for the gift of fertility and the birth of the baby.’ If you wish to make a lovely burial ritual please let me know and I will return the cord & membranes, either dehydrated or fresh, as you wish. We would love as many women as possible to take advantage of this amazing opportunity. If finances are holding you back, please contact Amy. There are ways to save on the cost, such as having a friend or family member transport the placenta in the cooler to Amy. For Mama’s birthing within the catchment area (see map) I offer same-day collection of your placenta from your baby’s birth place, and 48 hour hand delivery of your package. 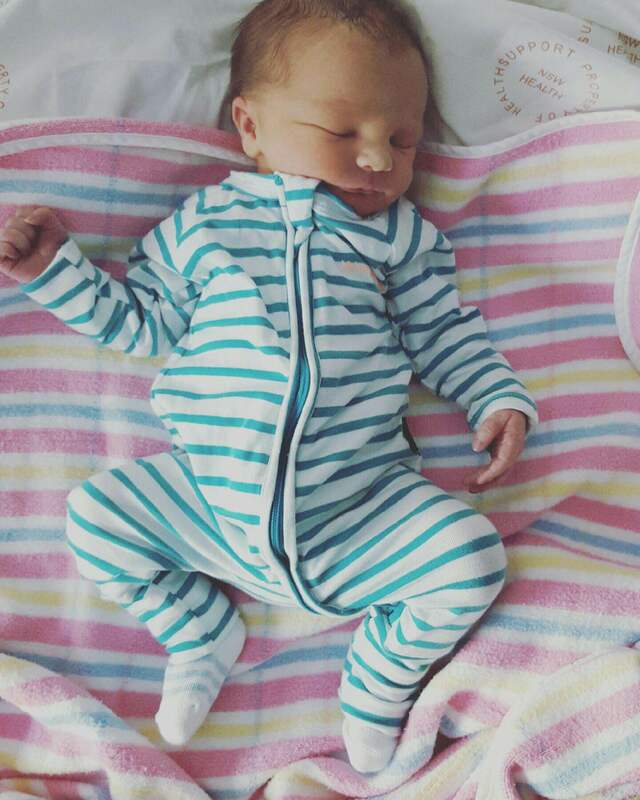 Hospitals included: Lismore Base, Byron Birth Centre and homebirths within the vicinity; Brunswick Heads to Ballina. 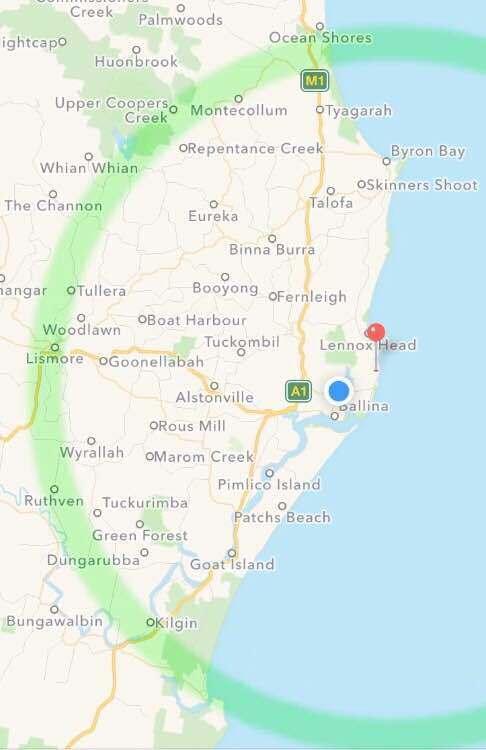 For Mama’s birthing beyond the catchment area (see map – North of Brunswick Heads; Tweed Heads, John Flynn, GCUH. And South of Woodburn; Grafton, Coffs Harbour) – the first hour of travel is included free, after that a Travel Fee applies. Please contact me if you would like a quote. Note: You are welcome to arrange someone to drop off your placenta and pick up your package from me in Lennox Head to reduce the cost or avoid a travel fee. I can also courier your package to you. If you have any Travel fee questions please call/text/email Amy. Amy, it was by chance we met (you were called as a backup to encapsulate, as my original arrangements fell through) and I am so so happy that’s how things turned out. 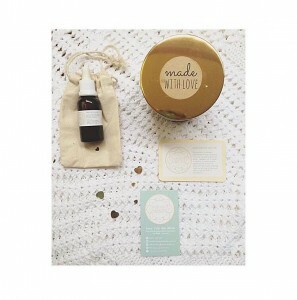 Not only was the packaging beautiful but your gentle presence in those first few new born days was welcomed and warming. I have not experienced any low’s since the delivery of my baby boy and my energy has been incredible — thanks to your work! I’ll recommend you to all that are open to encapsulation as your service is unforgettable. X thank you so much from the bottom of my heart. 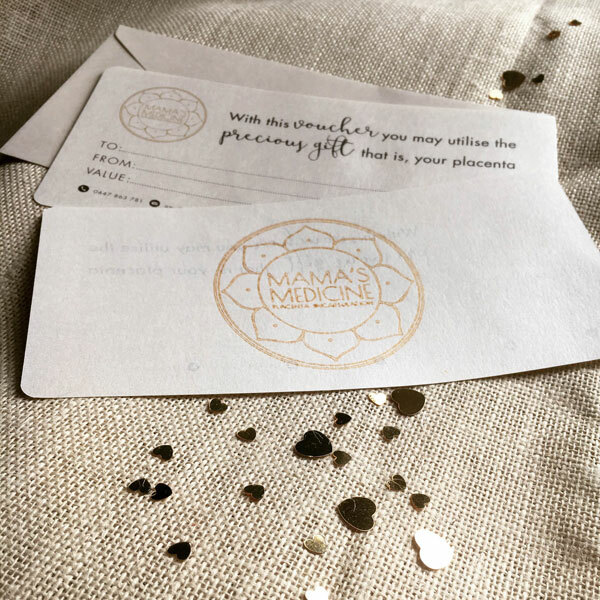 “Not only is Amy just a gorgeous, bubbly and wonderful human, her placenta encapsulation and print service is incredible. I gave birth at 3am, she picked up my placenta at 10am from my home and delivered the most divine package less than 24 hours later. I was in tears as I unraveled what seemed the most beautiful gift ever bestowed on me! 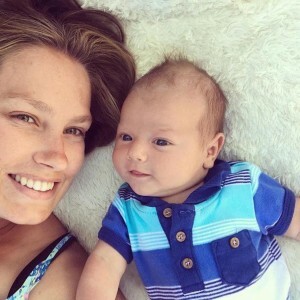 Amy’s thoughtfulness, attention to detail, kindness and respect absolutely permeates the whole journey of opening up the package to receive the very thing that gave your bubba life. She included beautiful poems, odes and gorgeous keepsakes that had me and my partner both emotional and feeling so blessed to have found Amy in the Northern Rivers. Amy truly knows how to respect the powerful, life giving placenta and there is not a detail overlooked in the way she gifts it back to Mother and Baby. “Appreciation post. As we approach the six week mark since our little Nashy was born, I can’t help but think about how FREAKING GOOD I feel. I’ve been waiting for the tiredness, tears, low milk, sore body. I honestly can say I don’t feel like I birthed 6 weeks ago, a very different experience to my last 2 births. I have not been tired! Have recovered so well, and feel so ENERGISED, POSITIVE and PATIENT. 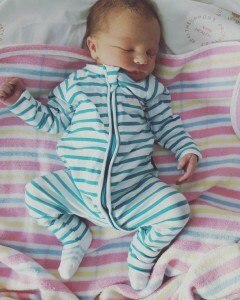 I have loved every minute of the last 6 weeks, again very different to the last 2 bubbas. 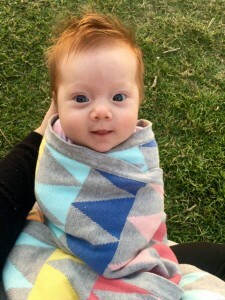 Yes every birth was very different and Nash’s birth was probably the easiest on my body, but I think the thing that is helping me feel this good are the magic pills my beautiful friend made for me. PLACENTA PILLS. Yes, I too was quite skeptical but after this experience I firmly believe they have helped in so many ways. The face of my mother in law when she found out what they were was just priceless! “I must say, your service is impeccable. I will definitely be recommending you to all my friends! “Amy I have never opened something so beautiful…….. wow. Your love and care put into it just shines straight through…. I am ever so thankful and feel so blessed. 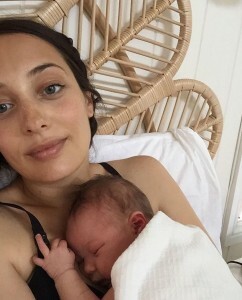 “Even though I had a tough labour which ended up in an emergency c-section that led on to an infection and a rash, after 6 weeks I am now feeling back to myself again. 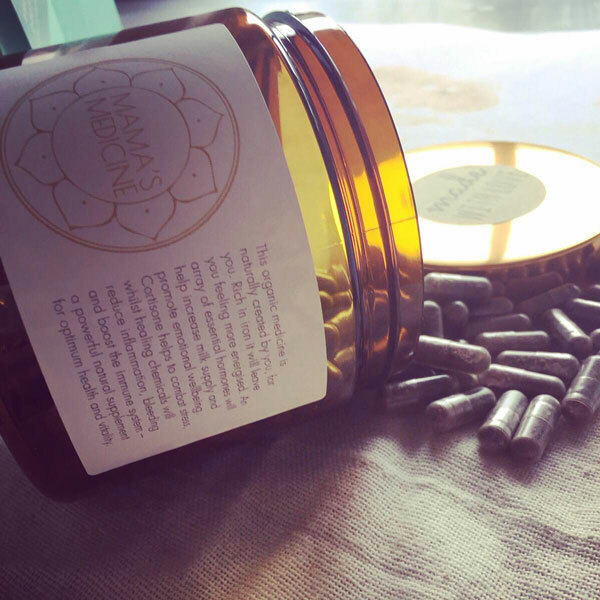 During my pregnancy I made the choice to have my placenta encapsulated by Amy from Mama’s Medicine, so happy I did. I couldn’t start taking my capsules straight away because of all the other drugs I was on – I wanted to be fully clear from antibiotics before I started my road to recovery. I am now having my daily dose twice a day and my mental and physical health is right back on track. (2weekspostpartum)- “My capsules have been a godsend. The energy is still as amazing as the first time I took it and a great pick-me-up, especially in the morning when it’s time to start the day! Emotionally I feel amazing. I feel so much love, bonding with Bub has been really good, my patience and perseverance with breastfeeding has been amazing. My head is in the right place! Compared to last time, everything feels very different and very right. I truly believe that my capsules have been helping me through these past two weeks! I feel amazing, uplifted, in love, emotionally stable and content. I feel very balanced. – Aaroha, who suffered with postnatal depression following the birth of her first child. “The capsules have been a life saver, dealing with a newborn and a toddler whilst trying to build a house and study is difficult but they have given me so much energy and really improve my overall mood! By far the best decision I’ve made, they’re incredible. “Something I had always wanted to do after giving birth was to encapsulate my placenta, thanks to Amy I was able to do so with such ease. Honestly the benefits of this practice have been beyond helpful to me!! I highly highly recommend looking into placenta encapsulation if you’re pregnant or thinking about having a baby. I grew up on the South Coast of England, daughter to an English Mama and a Turkish Father. In 2005 I obtained a Bachelor of Science (Honours) degree in Psychology at the University of Birmingham. I left the UK in my mid twenties and spent 12 months travelling across the globe. I met my husband, here in Byron Bay and after many worldly adventures together, we returned to Lennox Head to be married and start a family. I am the proud mother of three beautiful children. We love to spend time at the beach; the ocean, sunshine and good food is my medicine! With both children, I consumed the placenta in the weeks following the births. I regained my strength very quickly, within days. Second degree tear wounds healed beautifully within a week, I had an abundance of milk, and above all I felt calm, energised and happy. I swallowed bite size frozen pieces, and washed them down whole with a glass of juice. I had not heard of placenta encapsulation at the time, but the idea of consuming the placenta just ‘felt right’, I knew I was giving my body exactly what it needed at the time. I looked forward to, and very much enjoyed giving birth to my babies. 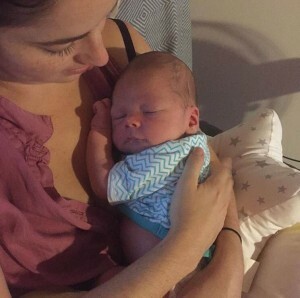 I chose to have midwifery care at Lismore Base, and I found the caseload program to be fantastic. I was lucky to experience two amazing calm births; both fairly quick, un-medicated, water births. My midwife held space around me, protecting me, supporting the unique rhythm and timing of my labour, avoiding medical interventions. 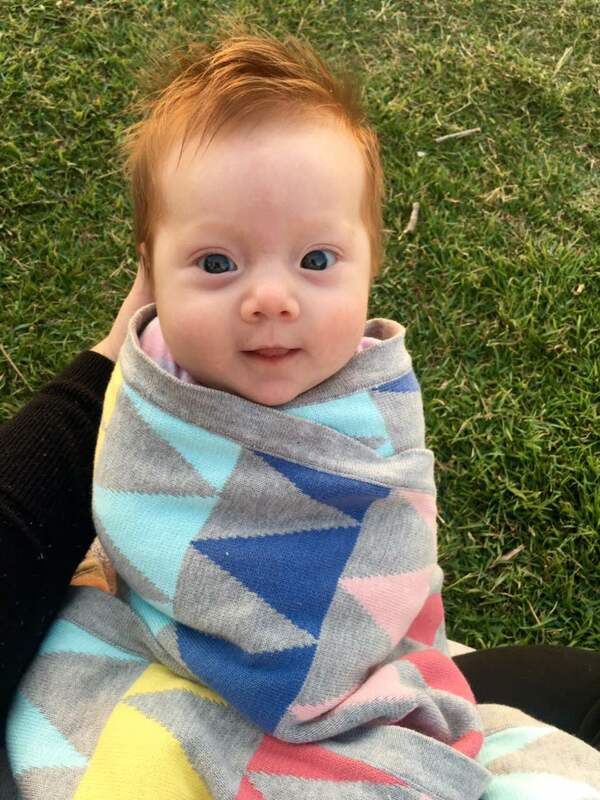 Care was centered around maximising both mine and my baby’s health – physically, emotionally and spiritually. I will be signing up with these ladies again for baby #3, when the time comes! I am so grateful I learned about the many benefits of using my placenta. My transition into motherhood was smooth and very positive, and I firmly believe that utilising the goodness of my placenta was the key to my postpartum rejuvenation! I love to be pregnant. I believe the human body and the way we are created is nothing short of a miracle. Self care and nourishing oneself during this sacred time is so important. Consuming the placenta is a powerful way to close the circle of pregnancy and birth, whilst returning valuable nutrients and hormones to the body. Mama’s Medicine provides a heart centered service, inspired by the belief that a woman who has just brought new life into this world is an exquisite Goddess, worthy of sacredness and magic! 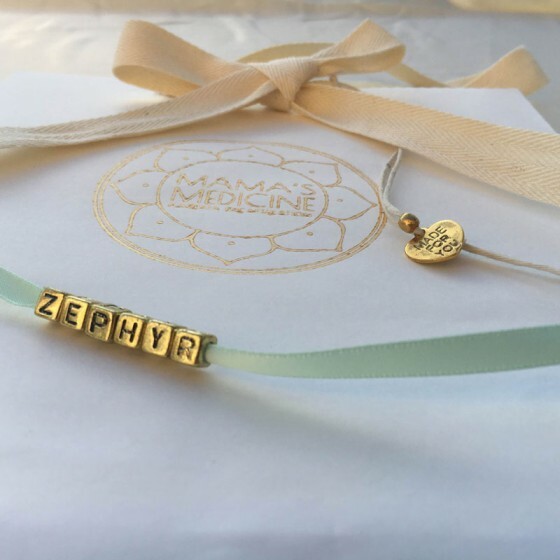 I am grateful to have finally found a place for my passion as a Placenta Encapsulation Specialist, and I dedicate myself to providing a service full of love, care and attention, honouring this tender and precious time in your life. 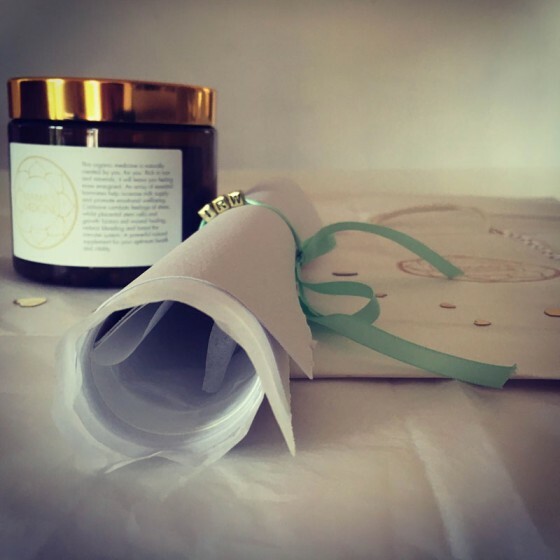 After you’ve made your decision to encapsulate your placenta and you are ready to make a booking, please email me and I will send out a Booking Form and a Placenta Care form for your midwife. With the lodgement of your forms, a deposit must be made of a minimum of $50 to hold your space. Please feel free to engage with me via email or phone conversations as you need, I will be happy to shine a light on any concerns you may have. Annoyingly, sometimes my reply emails land in one’s JUNK/SPAM folder, please double check yours if you don’t receive a reply in 24 – 48 hours. The placenta is rich in iron. During pregnancy the woman’s iron requirements increase threefold to support the growth of the foetal-placenta unit and increased blood volume. At birth a substantial amount of blood is lost, resulting in many women having low iron/anaemia at delivery. Even women who had a good iron status at the start of pregnancy, often have some form of low iron at delivery. Iron deficiency is linked to fatigue, anxiety and depression. Placenta offers mothers a replacement in good quality iron that is highly bioavailable as it was naturally created. It is in perfect measures exactly formulated for her body, unlike pharmaceutical iron supplements which can give the mother more iron than her body needs. In a study where women were given placenta to consume, 86% reported increased milk production within 4 days. Research is still being done to identify exactly which hormones are responsible for causing this boost in milk supply. Placenta contains hormones to assist in treating and preventing postpartum depression. During the pregnancy the placenta produces stress fighting hormones. Once the placenta is no longer present, it can take months for the brain and body to level out the hormones. During this time, the hormonal fluctuations can cause depressive symptoms, and may also be attributed to low levels of corticotrophin-releasing hormone (CRH). By ingesting the placenta after birth, the mother is reintroducing these vital hormones to her body, until her brain signals its own production and can level it out on its own. Taking Placenta capsules could be particularly helpful for mothers who have caesarean births, mothers with severe tears and postpartum for prolapsed uterus or cervix. Research has shown that ingesting placenta increases the effectiveness of opioids. The mother could use the Placenta for pain management and potentially take less pain medication. The mother may experience less pharmacological side effects and better maternal responsiveness.